Joint Venture - A general partnership typically formed to undertake a particular business transaction or project rather than one intended to continue indefinitely. Keyword: The search term that a user may enter at a search engine. For example, someone who wants to find a site that sells printer paper might enter 'printer paper' at a search engine. Keyword Density: The ratio between the keyword being searched for and the total number of words appearing on your web page. If your keyword only occurs, say, once, in a page that has a twenty thousand words, then it has a density of 0.005 percent. Lifetime Value: The total amount that a customer will spend with a particular company during his or her lifetime. Link - A link is a "clickable" object that, when clicked, will take the viewer to a particular page, place on a page, or start a new e-mail with an address you specify. Link Popularity: The total number of qualified Web sites linking to your Web site. Local Area Network (LAN): Computers linked together in a central location, such as a business or government organization. Manual Approval: Process where all applicants for an affiliate program are reviewed individually and manually approved. Media Metrix: Measures traffic counts on all the web sites on the Net. 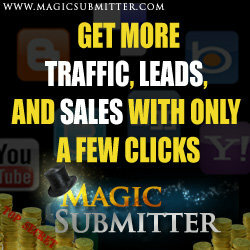 They publish the Top 50 sites in the US, the Global Top 50, and the Media Metrix Top 500 web sites. Merchant: A business that markets and sells goods or services. Merchant Account - A commercial bank account established by contractual agreement between your business and a bank. A merchant account enables your business to accept credit card payments from your customers. Meta Tags: Information placed in the header of an HTML page, which is not visible to site visitors. Mini-site: A one or two page Web site that focuses on a single product, service or theme. Multipurpose Internet Mail Extensions (MIME): Allows an email message to contain nontext data, such as audio and video files. Modulator/Demodulator (MODEM): The card that allows your computer to connect to the phone line and communicate with other computers. Mosaic: The first major browser program. Multi-Level Marketing (MLM) - Also known as Network Marketing, MLM involves the sale of products through a group of independent distributors who buy wholesale, sell retail, and sponsor other people to do the same. Newsgroup - A newsgroup is a discussion that takes place online, devoted to a particular topic. The discussion takes the form of electronic messages called "postings" that anyone with a newsreader (standard with most browsers) can post or read. Netscape: Makers of the Netscape Navigator browser. Newbie: Someone who is new to the Internet. Pay-Per-Sale (PPS): A program where an affiliate receives a commission for each sale of a product or service that they refer to a merchant's web site. Pay-Per-Lead (PPL): An affiliate program where an affiliate receives a commission for each sales lead that they generate for a merchant web site. Examples include completed surveys, contest or sweepstakes entries, downloaded software demos, or free trials. Pay-Per-Click (PPC): An advertising payment model where the advertiser pays only when the advertisement is actually clicked. Also, an affiliate program where an affiliate receives a commission for each click (visitor) they refer to a merchant's web site. Politeness Window: Most search engine spiders will not crawl an entire site in one session. Instead, they crawl a couple of pages and return after a day or two to crawl a couple more and so on until they have indexed the entire site. This is a self-imposed limit in order not to overburden a server. The time period between sessions are known as the politeness window. Super Affiliate Handbook transferred between various types of computers. The software that allows this transfer is called Acrobat. Post Office Protocol (POP): Refers to the way email software such as Eudora gets mail from a mail server. Profit: The amount of money you earn from your sales. For example, if you sell 10 videos at $47.00 each, and each costs $10 to produce and ship, your profit would be $37.00 per video or $370.00 total. Plug-in: A small piece of software that adds features to a larger piece of software. Portal: A term used to describe a Web site that is intended to be used as a main "point of entry" to the Web. I.e. MSN.com is a portal site. Posting: A message entered into a newsgroup or message board. Protocol: A method or language of communication. Proxy Server: Computers, such as those belonging to Internet service providers, that act as agents for multiple users, resulting in many users only having one IP address. Referring URL: The URL a user came from to reach your site. Residual Earnings: Programs that pay affiliates for each sale a shopper from their sites makes at the merchant's site over the life of the customer. Return on Advertising Spend (ROAS): How much revenue is generated per amount spent on an advertising method. Return on Investment (ROI): This is the amount derived from subtracting your net revenues from your total costs. Revenue: Total income for your sales. 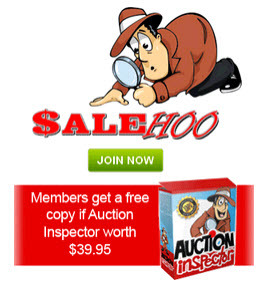 For example, if you sell 50 ebooks at $27.00 each, your revenue would be $1350.00. Robots: Any browser program not directly under human control that follows hypertext links and accesses Web pages. A search engine spider is a 'robot'. Scumware - Software that contains additional 'features' for the purpose of displaying advertisements. This software will modify webpages from their original content to put ads on the user's computer screen. Examples of scumware propagators included: Gator, Ezula, Surf+ and Imesh. Search Term Suggestion Tool: Displays how many times a certain keyword was searched for at Overture during a given month. Secure Server - A secure server allows a connection between itself and another secure server. Secured connections provide three essential things where online transactions are concerned: privacy, authentication, & message integrity. When viewing Web pages or posting information to a secure server, you'll notice that the "http://" that usually appears in the Web address bar changes to "https://." Also, on most Web browsers, the symbol of a closed padlock should appear somewhere in the browser's frame as an indicator that you are using a secure connection. Server: The computer hardware that stores your homepage, and sends and receives information through the World Wide Web. Server Logs: Each time a user accesses a Web page, information is recorded on the server logs. Server logs contain information about what pages where accessed, along with the date and time and computer's IP Address. Other statistics can also be tracked, including username, browser type, previous page, etc. Shockwave: Co-developed by Netscape and Macromedia, software that allows animations and interactive programs to be embedded into HTML pages. Sig (Signature File or Sig Line): Your signature at the end of an email or Usenet posting. Commonly consist of your email address and other contact information, very brief information about your business, and perhaps a favorite quotation or funny phrase. SPAM: The term "spam" is Internet slang that refers to unsolicited commercial e-mail (UCE) or unsolicited bulk e-mail (UBE). Some people refer to this kind of communication as junk e-mail to equate it with the paper junk mail that comes through the US Mail. Unsolicited e-mail is email that you did not request; it most often contains advertisements for services or products. Spyware - Also known as "adware", a program hidden within free downloaded software that transmits user information via the Internet to advertisers. SQL (Structured Query Language): A programming language for sending queries to databases. SSL (Secure Sockets Layer): A protocol used to enable encrypted, authenticated communications across the Internet. URL's that begin with "https" indicate that an SSL connection will be used. Storefront: A storefront is a prefabricated set of web pages containing information about a business or company. Super Affiliates: The top 1 or 2% of affiliates that generate approximately 90% of any affiliate programs earnings. Targeted Marketing: The process of distinguishing the different groups that make up a market, and developing appropriate products and marketing mixes for each target market involved. Text Link: A link not accompanied by a graphical image. Third Party Credit Card Processing - A 'third party credit card processor' is, a company that accepts credit card orders on behalf of another company, making a merchant account unnecessary. Third Party Tracking Software: Software located on a server other than your own, that tracks and records visits to your Web site. Tracking Method: The way an affiliate program tracks referred sales, leads or clicks. Tracking URL: A web site URL, http://www.awebsite.com, with your special code attached to it, i.e. http://www.awebsite.com/?myID. Visitors arriving at the side are tracked back to you through your special code, or ID. Transmission Control Protocol and Internet Protocol (TCP/IP): Software that allows your computer to communicate on the Internet. Two-tier: Affiliate program structure whereby affiliates earn commissions on their conversions as well as conversions of webmasters they refer to the program. Unique User: A unique visitor to your Web site. Probably the best indicator of site traffic. Upload: Transferring a file from your computer to another computer. Uniform Resource Locator (URL): The address of a site on the World Wide Web. Here's an example URL: http://www.byebye925.com/articles/index.html The "http" stands for "hypertext transfer protocol"; "://" signals the beginning of the address; "www.byebye925 .com" is the domain name,; "/articles" is the directory; and "index.html" is the name of the HTML file. User Session: The session of activity for one user on a Web site. Viral Marketing - Describes any strategy that encourages individuals to pass on a marketing message to others, creating the potential for exponential growth in the message's exposure and influence. Like viruses, such strategies take advantage of rapid multiplication to explode the message to thousands, and even millions. Virtual Reality Markup Language (VRML): A language developed as a replacement for HTML. At a VRML website, one can explore environments in three dimensions, and can interact with other people who are visiting the same site. VRML requires a special browser. Virus - A computer virus is defined as a set of commands, created intentionally, that will do some level of damage to a computer. A computer virus does not float around in cyberspace, but is always attached to something. That 'something' could be a text file (MSWord document), an email, a photo, a music clip or a video clip. Your computer must receive one of these 'carriers' in order to get a computer virus. Getting high quality backlinks does not have to be expensive. You may have the money to outsource link building or the time to do it yourself. 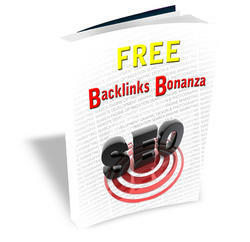 But, in case you dont, the backlink sources you are about to discover are my top picks for free backlinks.